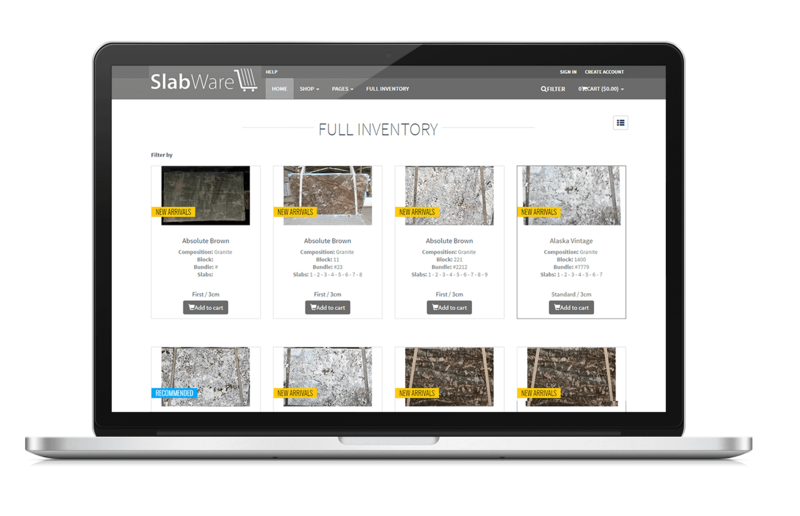 SlabWare - System for the granite industry with main objective to facilitate, increase direct sales, organizing their stock and providing an online inventory! It is actually the website where your customers will access all your inventory, company information and other features. To be one step ahead on the stone business today, the company needs to invest on newest technologies. An online inventory system is an important investment, in which your customers are able to access the complete portfolio of your products without leaving their home. 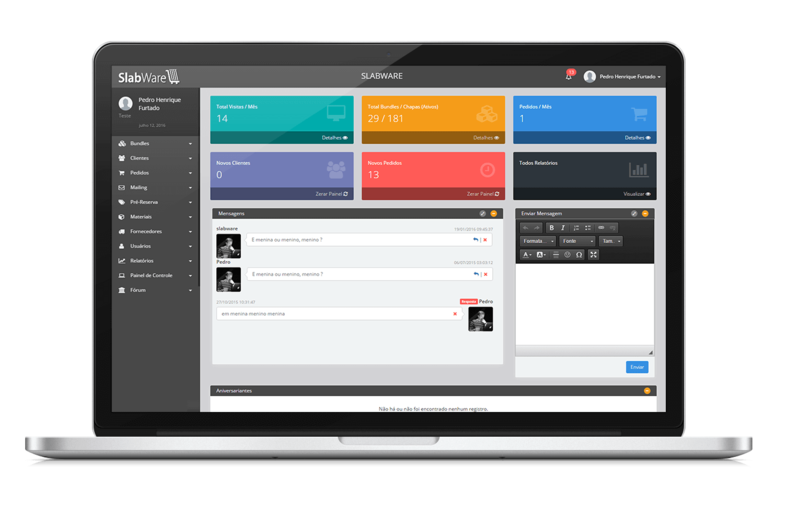 SlabWare created the single E-commerce technology available in the market, in which your customers can make their purchase in real time, thru a smooth and intuitive system developed specially for them. Our system has an exclusive area for users to register and manage all sales activities and inventory from their company, such as materials, bundles, slabs, customers, orders, suppliers, users, logs from customers, statistics, reports, etc. The concept of the system is to help the company to increase their sales significantly. Beyond improving convenience and customer service of your company, SlabWare also helps you strengthen the bond and trust with your customers. IN THIS MODULE THE SYSTEM WAS DEVELOPED FOR THE FABRICATOR, PROVIDING FEATURES AVAILABLE FOR THAT TYPE OF BUSINESS, SUCH AS KITCHEN VISUALIZER, ONLINE QUOTING FOR FINAL CLIENTS, ETC. THIS MODULE IS FOCUSED FOR COMPANIES THAT IMPORT MATERIALS AND DISTRIBUTE THEM LOCALLY PER SLAB. THEY ARE TYPICALLY COMPANIES LOCATED IN THE U.S. AND CANADA (DISTRIBUTORS), BUT WE HAVE VERSIONS SUITABLE ALSO FOR ANY PLACE IN THE WORLD. THIS MODULE IS DESIGNED FOR SELLING PER SLAB, WITH MANY OTHER FEATURES AVAILABLE FOR DISTRIBUTORS ONLY.